The topic of accessible wave pool surfing is trending. As the ISA World Adaptive Surfing Championships prepare to launch in La Jolla California, and Huntington Beach hosts an Adaptive Challenge, the chatter on everyone’s social feeds is about wave pools. More specifically, how they will play a role in furthering programs and organizations run by groups like Brazil’s Adaptsurf. Just over a decade old, Adaptsurf works to ensure access to area surf spots and the inclusion of all people with disabilities or reduced mobility. The group offers surfing equipment and provides free lessons through their volunteer network. 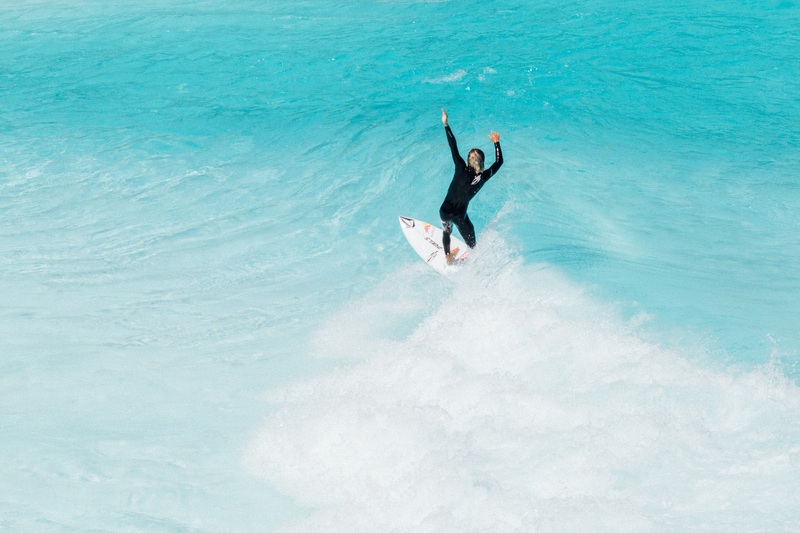 We reached out to Luiz Phelipe Nobre at Adaptsurf to field some questions about what role wave pools, specifically wave pools in Brazil, will play in their program’s ability to reach more adaptive surfers. Do you expect Brazil to have a wave pool in the next two years? Having a wave pool in Brazil is a dream! Here we have so many surfers and adaptive surfers that would enjoy the opportunity to go surfing in perfect waves every day. A pool would be a great step to improve the skills of both our professional surfers and beginners. With the new technology and the rise of in wave pools around the world, it’s getting really close. Brazil will have their first surfing wave pool soon. We think in a couple of years a wave pool will be a reality. Have you, or do you plan to have any events in a wave pool? Two years ago, one guy called Ben Lonsdale talked to Adaptsurf NGO and showed a project of a wave pool in Rio de Janeiro and offered support so we could have a free day to have our classes for all disabled students in the pool. So, we plan to have classes and events in a wave pool. It will be amazing for us and will help a lot to develop the sport. How do you see wave pools progressing adaptive surfing? The wave pool gives all adaptive surfers the opportunity to train and get better without the difficulty of paddling and getting in the ocean, in some cases we spend more than 30 minutes trying to catch a wave. A pool would improve the adaptive surfers’ abilities and surfing would become more safe and fun for all. Can wave pools facilitate your organization in ways the ocean cannot? 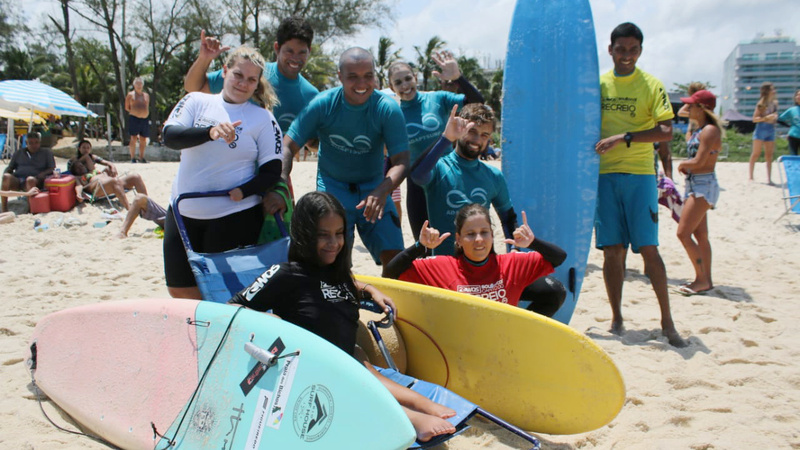 Adaptsurf NGO offers free classes for all kind of disabilities in all ages, every weekend. Sometimes the classes are canceled because of the conditions and the students get really frustrated. Having a pool here would guarantee surfing every day in every condition. When the wave pools begin to show up and become a reality, the whole adaptive surfing community will be happy and excited to surf these special waves. For us, it will help a lot!